One of the great things about spring is that all the flowers start blooming again. In my area, everywhere you look you see daffodils and tulips popping up and trees starting to leaf out. 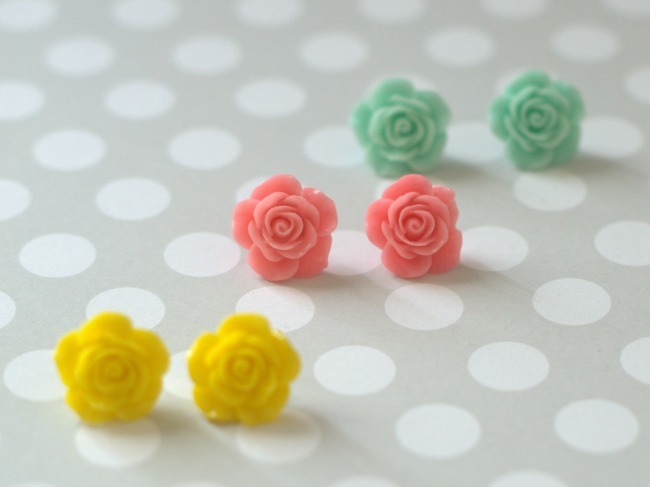 One of the things that’s sure to put you right into that springtime mood are these great Springy Rose Flower Earrings. 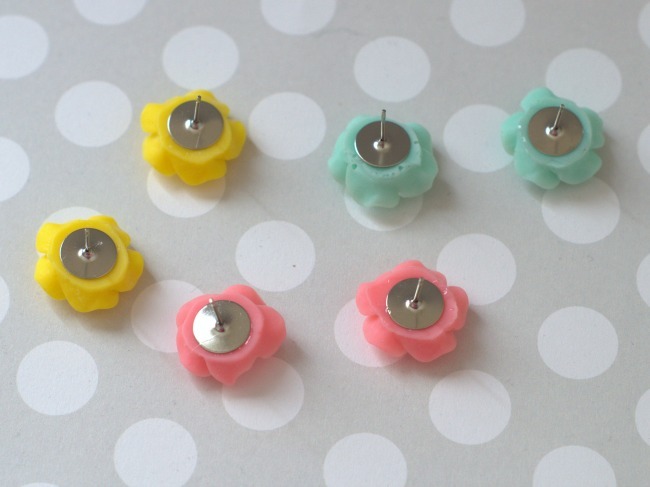 They’re so cute, right on trend, and oh so easy to make. 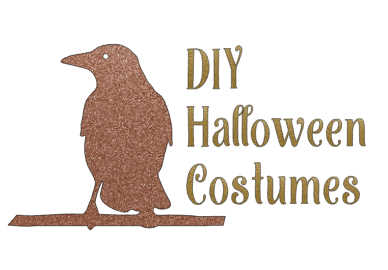 They’ll take you like 5 minutes to make. Seriously. 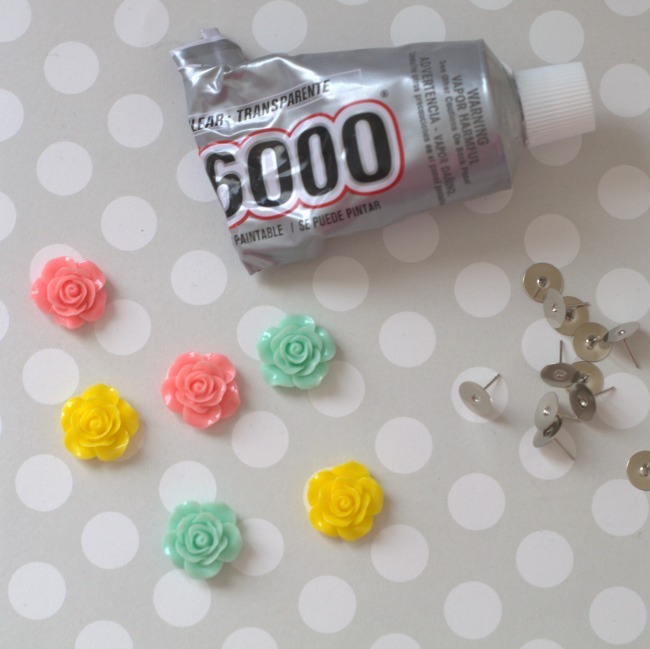 E6000 Glue – I really find that this is the best glue to use for these types of projects. Squeeze out a little bit of E6000 glue. 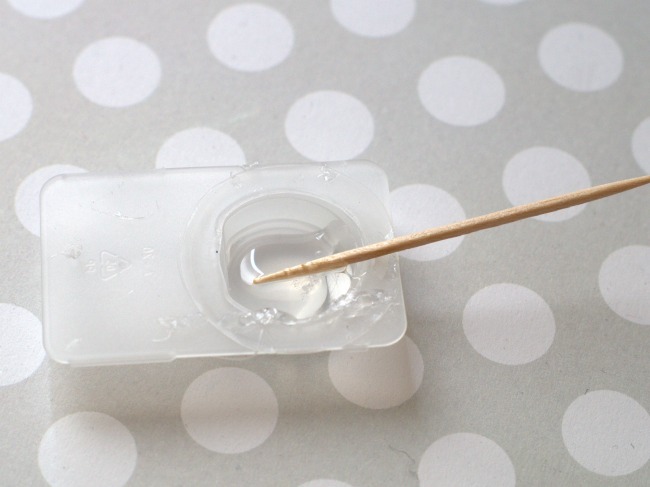 I am using a container that contact lenses came in and a toothpick to apply it. 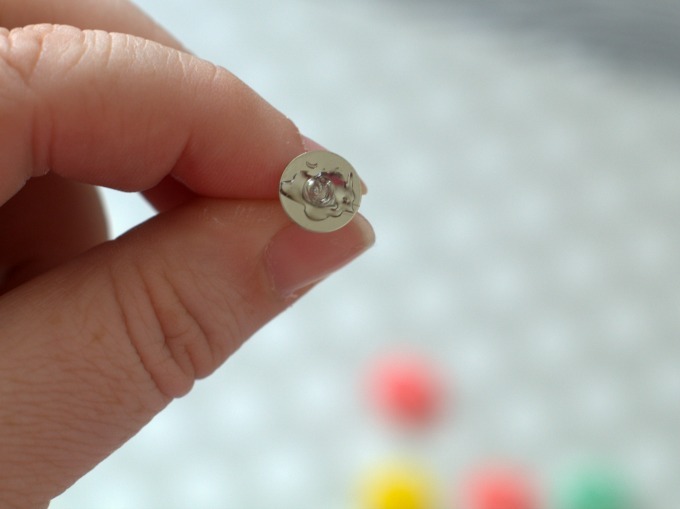 Spread a small dab of glue on the flat part of the earring post. 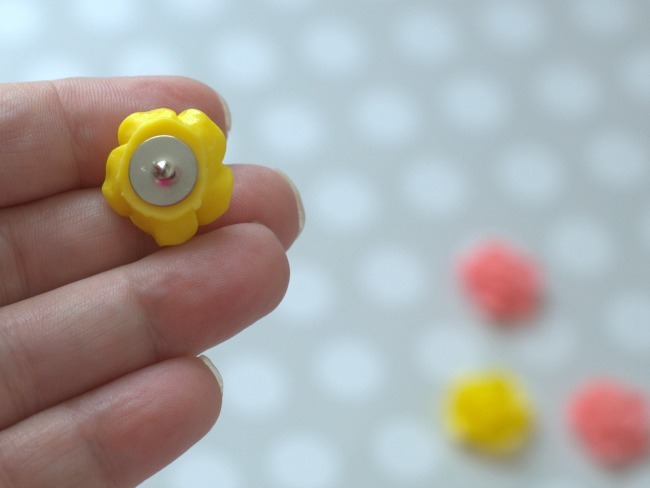 Place the glued earring post on the flat side of the flower cab and press together for a couple seconds. Repeat with all of the pairs. Let set until dry, usually a few hours. I like to leave mine overnight, just to be sure. 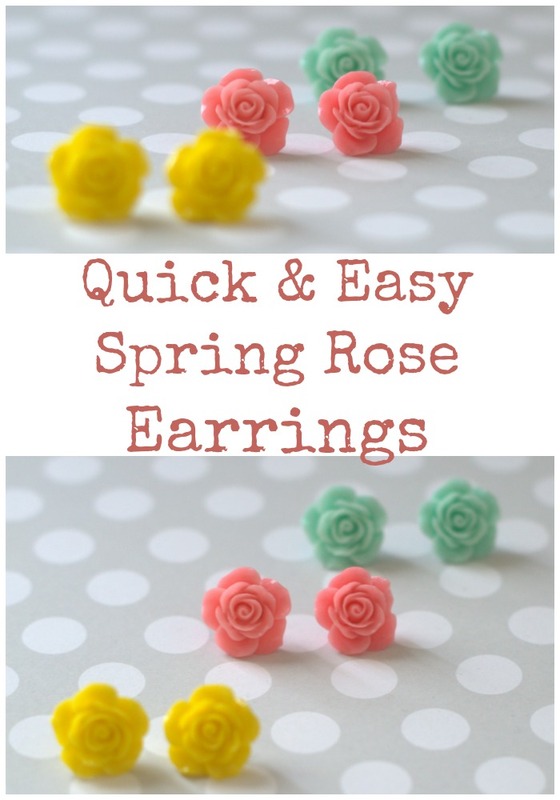 You’ve got a really cute pair of Springy Rose flower cab earrings that were so super simple to make! These are great craft show sellers, too. How to Dress the Whole Family for Easter by How Was Your Day? Very cute! I love the green ones. Those are perfect for spring.